Image: Jerod Harris/Getty Images for LOVELOUD Festival. We have always adored and will continue to adore the Scott brothers. 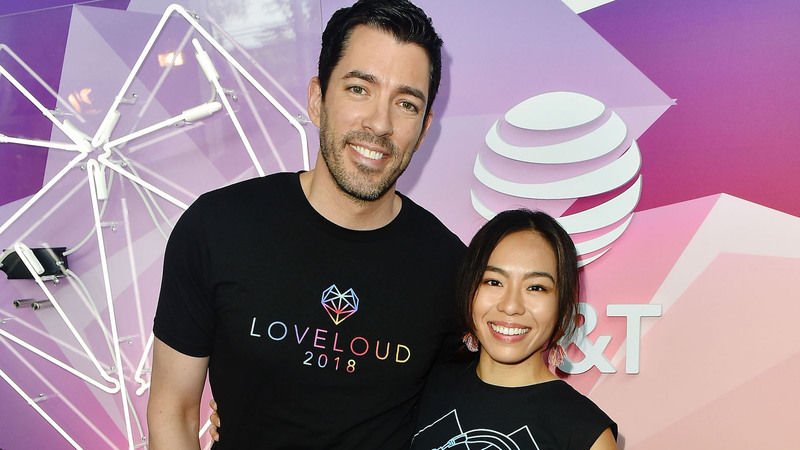 We were excited to follow Drew Scott and his now-wife, Linda Phan, as their wedding plans came together and culminated in a gorgeous Italian destination wedding. Now, we're finally getting to hear about their first big milestone as a married couple: the honeymoon. According to Scott, who recently opened up to Us Weekly, it sounds like he and Phan have opted for something a little unexpected (but totally wonderful!) for their special trip. Instead, the pair partnered with WE, a philanthropic organization that aims to empower "communities to lift themselves out of poverty through our holistic, sustainable international development model," and went to the Amazon to help build homes. "For our honeymoon, we actually went to Ecuador, which is at the end of the Amazon rainforest, into a small village, and [we helped] build these bathrooms. These villagers have never had bathrooms,” Scott said. Of course, building homes in the tropics may not seem very romantic, but to Phan, that's what made it perfect. "The trip was great for me because we’re not conventional in terms of romance and date nights," she said. The couple did manage to find some downtime, though. Scott told Us Weekly that he “worked with [WE resort Minga Lodge] one night to set up a romantic dinner" for himself and Phan and that, when the newlyweds were in the Galapagos, they "had this surprise next-to-the-water, romantic dinner."